Qatar’s victory in securing the 2022 football World Cup during the European winter season has cemented their ascendency as a super commercial power. Qatar along with their UAE neighbours in Abu Dhabi and Dubai can be regarded as an economic and commercial regional bloc that’s unmatched elswhere . When we trace Qatar’s economic global influence you realise winning the World Cup bid was no surprise. Since 2012 Qatar is regarded as the richest country in the world. With a population of approximately 2.4 million Qatar has been punching above their economic weight for last decade. They are one of the top 3 suppliers of liquified natural gas (LNG) and have the 3rd largest natural gas reserves. Qatar accounts for over 50% of all LNG exports and has oil reserves in excess 25 billion barrels. The royal families in Qatar, UAE (i.e. Abu Dhabi and Dubai) have used vast resources from their respective sovereign wealth funds to invest in pivotal areas across developed nations. The Qatari monarchy through their numerous business entities continues to acquire lucrative investments and provide LNG resources. 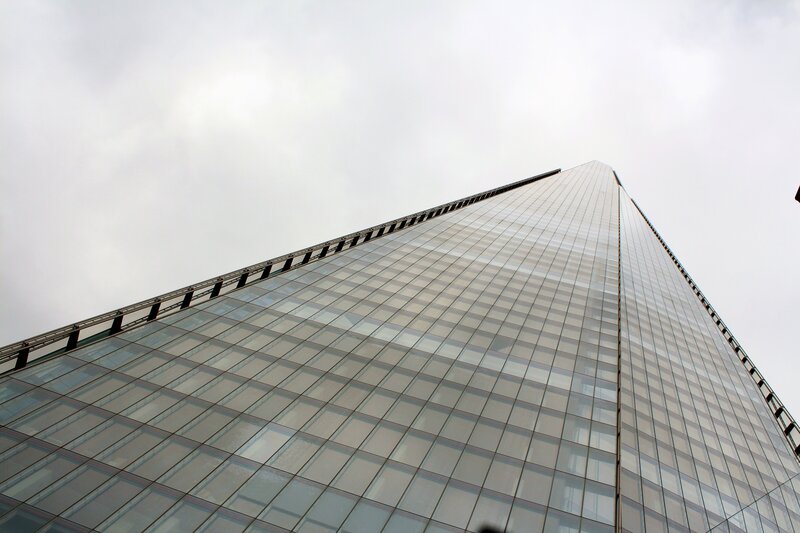 The Shard – EU’s tallest building – is owned mainly by the Qatari Diar Real Estate Investment Company part of Qatari Investment Authority (QIA) founded by the State of Qatar in 2005. Harrods was taken over in 2010 by Qatar Holdings aka QIA. The Olympic Village in Stratford was sold to Qatar Holdings..
Chelsea Barracks was bought by QIA in 2008 for approximately £1 billion. Canary Wharf complex – QIA have recently won a bid to take over the financial district with $2.6 billion share offer. Qatari Holdings owned 20% of the London Exchange in 2007 but since reduced to 10%. Qatar Airways (QA) owns 10% of the International Airlines Group (IAG) owners of both British Airways and Iberia. QA have plans to increase their shares in IAG. This week Duwaliya UK Real Estate Holdings (linked to the Qatari royal family) bought prime property near the British Library for £72 million. Qatar Investment Authority has taken 100% control of the Porta Nuova district in Milan, in which it has held a 40 percent stake since 2013. Qatar Foundation are shirt sponsors of Barcelona football club to the tune of over 125 million pounds over a 6 year deal. Prior to this deal Barcelona rejected the concept of commercial shirts sponsorships. Qatar owns the French football club Paris St Germain (PSG) under the Qatar Sports Investment tag. The same group that owns BeIN media Group – Qatar’s Global Sports Network. [Global Sports Network is part of the al Jazeera Media Group. al Jazeera include al Jazeera America, al Jazeera Turk, al Jazeera Balkans. Under the al Jazeera – through Qatar Media Foundation tag]. Just like their near neighbours the Maktoums in Dubai (UAE) the Al Thanis (Qatar’s royal family) are now major players in international horse racing. Especially in France, Ireland and England. In 2014 the US agreed to sell $11 billion worth of arms (incl Apache helicopters) to Qatar. Qatar recently hosted NATO’s 11th annual conference on weapons of mass destruction (WMD). Just like Qatar Abu Dhabi are big players on the international commercial stage with investments across developed nations. Abu Dhabi Financial Group (ADFG) bought the Number 1 Palace Street property in Hyde Park in November for £310m. They plan to build 72 luxury apartments. 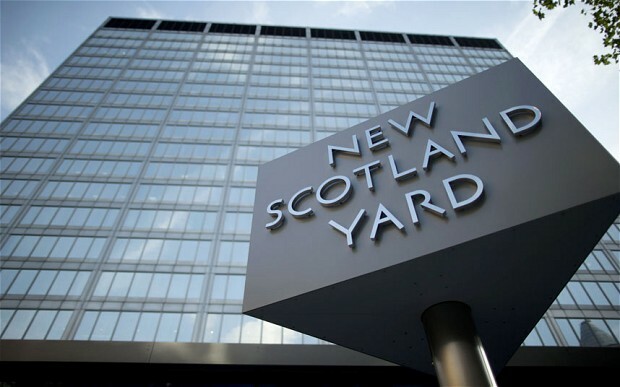 ADFG paid $370m for the iconic New Scotland Yard building in London. UAE have bid 1.6 billion pounds to buy some of Mayfair’s exclusive hotels including the Berkeley, Claridges and the Connaught. Abu Dhabi Investment Council (ADIC) has made major logistics warehouse investments in Japan. Even though Abu Dhabi does not recognise the state of Israel, they have been rumoured to pay some $800m to recruit an Israeli security firm to protect their oil and gas installations. During banking crisis of 2008 Abu Dhabi -via Sheik Mansour – bailed out Barclays Bank with a £3.5 billion investment. [Qatar invested approx £4.5 billion in Barclays] By 2010 Sheik Mansour sold his Barclays shares and made a £2.25bn profit. Mansour owns Manchester City Football Club a new super (spending) power in European football. Investment Corporation of Dubai (ICD) is the sovereign wealth fund of the Maktoums -Dubai’s royal family. State owned Dubai Holding focus on investments, financial services, real estate, specialised business parks, telecommunications and hospitality. ICD owns Emirates which is the largest airline in the Middle East. Emirates are major sponsors of football clubs including Arsenal, Paris St Germain, AC Milan, Real Madrid and Hamburg. Dubai’s reputation as a shopping destination is the envy of many other developed countries. Some say without Dubai’s vast investments the flat horse racing industry in Europe would have collapsed decades ago. Dubai World Cup (in Meydan) is the richest horse race in the world. $10 million to the winner. All this despite Dubai on the brink of near default in 2009 but bailed out by their neighbours in Abu Dhabi with an injection of $20 billion. Qatar Airways, Etihad (Abu Dhabi) & Emirates Airline continue be leading players in the airline industry. These 3 airlines own (or ordered) 160 of the 317 A380 (double decker) planes available. The rise of these 3 absolute monarchy states shows no signs of slowing down. In achieving the World Cup Qatar and their neighbours have proved nothing is out of their remit to own, host or invest. Qatar with 2.4 million people along with Abu Dhabi (920,ooo) and Dubai (2.2 million) are central players of the commercial world with their smart investments ventures locally and overseas. These day sports is a key brand for any company or country to raise their profile. Especially football. Winning the bid will boost Qatar’s image the next 2 generations. Ample time for Qatar and their UAE neighbours to increase their investment muscle across developed nations. We can no longer be surprise if the Olympics or a Grand Slam tennis event heads to the Middle East one day. Far fetch at that might seem. Or institutions like the IMF or World Bank being headquartered in the region. Who would have thought that cricket’s governing body (ICC) would have (in 2005) moved from London to Dubai? Axis of Global Commercial Influence? This entry was posted in london, media, sports and tagged 2022 WORLD CUP, abu dhabi, arms, banking, business, dubai, economics, FIFA, FINANCE, Harrods, investments, LONDON, maktoum, middle east, qatar, real estate, soccer world cup, uae, world cup. Bookmark the permalink.